I was checking out one of my diaries that I used to use before where I had written the notes of the leadership workshops that I had attended. 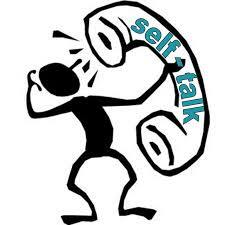 In one of its pages it was mentioned that talking to oneself is very important. In Hindi it's called as 'aatmachintan'. Discussing with oneself is the best way to bring about clarity for one's decisions and shall help in aligning one's actions towards accomplishing the goals set. Time and again people are confused about their own decisions. The reason is that they decide once and discuss about their decisions with 'n' other people to seek their opinions. Unless they get majority of the responses positive, they go on doing it believing that their decision will be right only when majority of the people also accept it. In doing so, people are just adding more confusion to their decisions rather than strengthing them and acting on them. The most important person on whom all your decisions might impact is you yourself. Hence you need to discuss about your decisions with yourself more than anyone else. More the number of times you discuss, more the clarity you will have as to why you made those decisions. Not just decisions, be it an idea or a simple thought or a dream, vision, goal or anything concerned with one's life, s/he has to talk to himself/herself to understand the basis of one's own thinking and evaluate it oneself. Unless you are clear about what you want to do, you can never expect someone else to understand the reason behind what you want to do. Talking to self regularly for a good amount of time shall always make our thinking clearer to ourselves first, which later can be conveyed to anyone else with complete confidence and clarity.